Being charged with a criminal offence, especially when it’s for the first time, is surely one of life’s most stressful experiences. It is true that every charge brings with it a wide range of possible outcomes, many of which can change your life. Will I go to jail? Will I have a criminal record? What about my job or career, my family, my friends, my reputation? What I mean by that is that when you’re faced with a criminal charge, there is rarely an instant, magical fix that’s going to make the whole thing go away just like that. The best result takes time to secure and your case must be guided and shepherded through the justice system by someone who not only knows the way, but knows the best way. 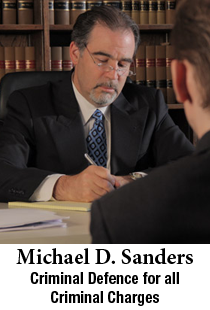 All you can do when facing an outstanding charge is retain the services of a lawyer that you have complete confidence in. It’s amazing how much better you’ll sleep, confident that your lawyer is going to get you the best possible result and that he is doing the worrying for you. Apart from obtaining peace of mind, there are other important advantages in retaining counsel early on. The reason for this is that I start defending you from the moment I open a file, months before your first appearance even takes place. This might include negotiating with the Crown Prosecutor’s office to see if the formal laying of a charge might be avoided altogether or preserving perishable evidence. Ideally, I am retained even prior to my client’s arrest or any police contact. That way I can become the point of communication for the investigating police and protect my client from some of the more aggressive and intimidating tactics the police use to secure incriminating evidence from suspects under investigation, either through interviews, “casual” conversations, or agreements to searches for which grounds may not actually exist.